Karl has created a limited edition diptych for this year’s Article 25 10x10 charity auction. 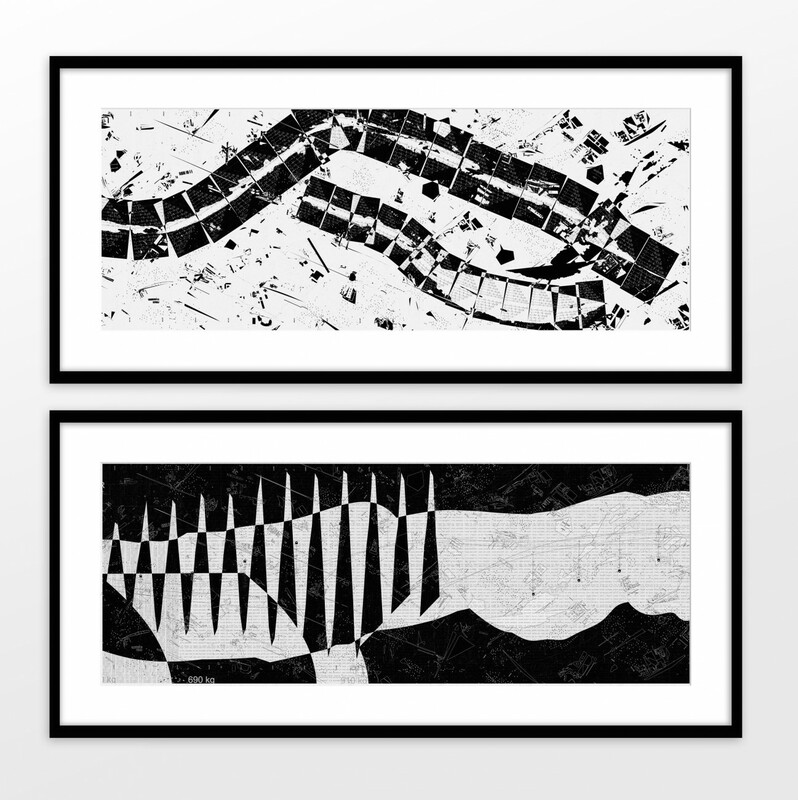 Postcards from the Edge I & II is an abstract digital collage of data, historic drawings and his design work associated with Crossrail (Elizabeth line), the Thames and London. The pieces will be auctioned on Thursday 22 November at 22 Bishopsgate, London in the live auction. Article 25 is the UK’s leading architectural aid charity. The 10×10 charity auction brings together 100 prominent artists, designers, and architects, to create 100 pieces of art, offering 100 unique reflections on the constantly changing landscape of the city. In previous years, Karl’s art work has raised over £10,000 for Article 25 and all proceeds from this auction will go to the charity.